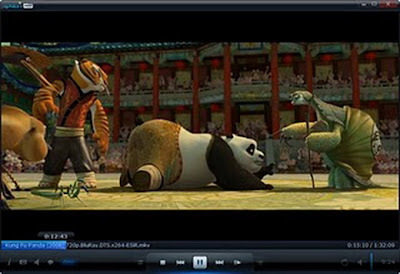 Mirillis Splash PRO - Player optimized for playing videos in high resolution (High Definition AVC/H.264), and viewing of digital TV channels (DVB-T). 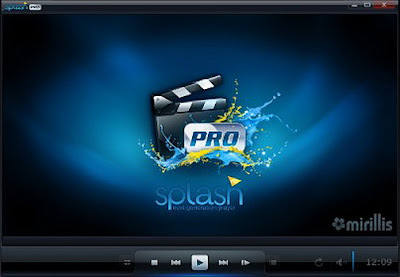 Splash Player has a built-in codec Mirillis AVC/H.264, which is its own development company, and is able to provide high-quality clear and smooth image in high resolution. The player boasts a stylish, user-friendly interface. Mirillis Splash PRO lets you enjoy your videos like never before by providing users with smooth motion, crisp details and vivid colors. Enjoy the best video quality and unique user experience. - Designed and optimized for HD! Play all your High Definition MPEG-2, AVC/H.264 and VC-1 movies and camcorder clips, incredibly fast, smooth and without problems. You don't need any additional codecs. Download, install, watch. It takes about one second to start application and High Definition video playback! - Picture x2 - just stunning video quality! - The best solution for your HD camcorder clips playback! Rediscover High Definition quality with Splash PRO and state-of-the-art Picture? technology! Watch your 20/24/25/30p clips smooth like never before with Motion? technology. Browse your clips instantly with automatic HD Camcorder playlist created every time you connect a camcorder to PC. - Ultra responsive, stylish and innovative User Interface. ukuran yg sebenarnya yg mana nih gan 13.76 Mb Atau 1.4 Gb ...??? ?